The World Alliance for Breastfeeding Action (WABA) is a global network of individuals and organisations who dedicate themselves to protect, promote and support breastfeeding worldwide based on the Innocenti Declarations, the Ten Links for Nurturing the Future and the WHO/UNICEF Global Strategy for Infant and Young Child Feeding. WABA is in consultative status with UNICEF and an NGO in Special Consultative Status with the Economic and Social Council of the United Nations (ECOSOC). 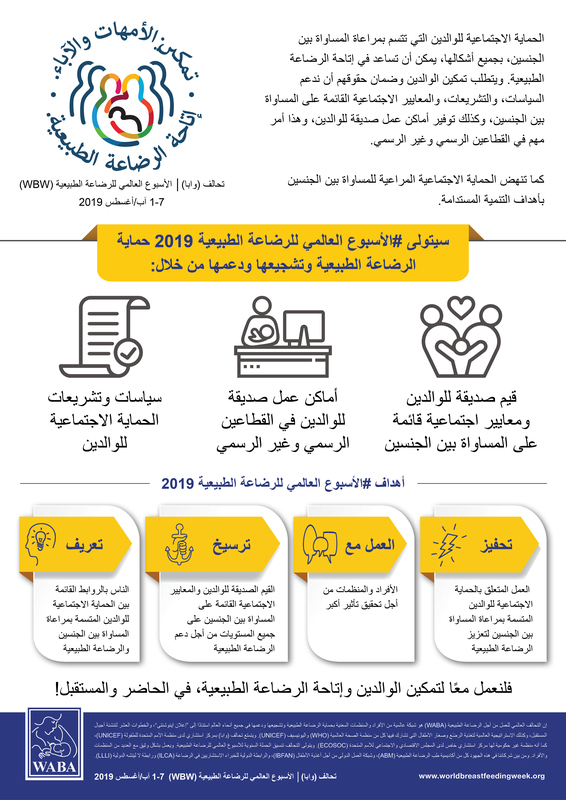 COPYRIGHT NOTICE: WABA asserts all rights under the Berne Convention over World Breastfeeding Week 2019 (WBW2019) materials. This copyright is subject to fair use, with appropriate attribution to WABA. The materials may be used in celebrating World Breastfeeding Week and other activities related to the protection, promotion and support of breastfeeding. The materials must not be changed in any way or used in any way that damages WABA’s reputation, whether by content, context or association. Permission must always be sought before the materials are used in any commercial activity. 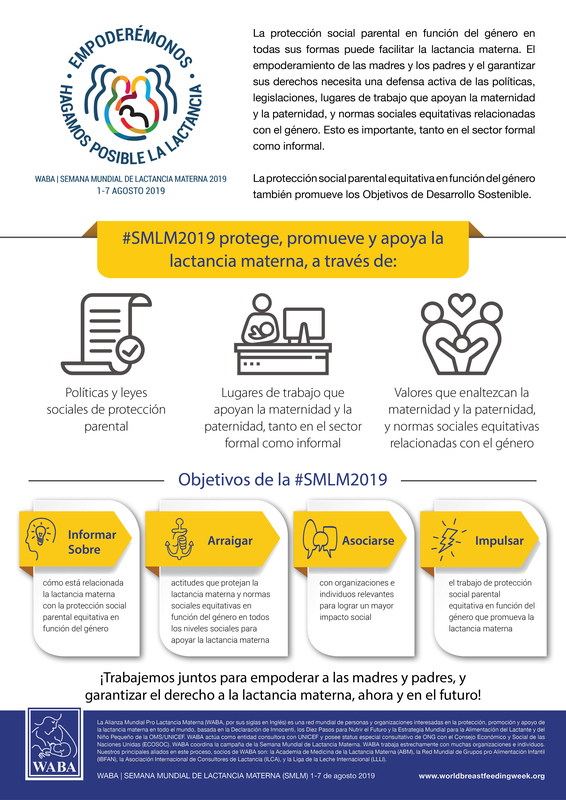 The materials must not be used in any activity sponsored by companies manufacturing or distributing breastmilk substitutes, related equipment such as feeding bottles and teats, and complementary foods. WABA asserts all rights under the Berne Convention over the image known as WBW2019 Logo. This copyright is subject to fair use, with appropriate attribution to WABA. The image may be used in celebrating World Breastfeeding Week and other activities related to the protection, promotion and support of breastfeeding. The image must not be changed in any way or used in any way that damages WABA’s reputation, whether by content, context or association. Permission must always be sought before the image is used in any commercial activity. The image must not be used in any activity sponsored by companies manufacturing or distributing breastmilk substitutes, related equipment such as feeding bottles and teats, and complementary foods. Are you receiving any sponsorship? If so, what kind? Will there be any other logo/text accompanying the WBW2019 Logo? Send us the final layout of how you intend to use the WBW2019 Logo. WABA will review it and get back to you with a decision. Credit WABA for usage of the WBW2019 Logo. 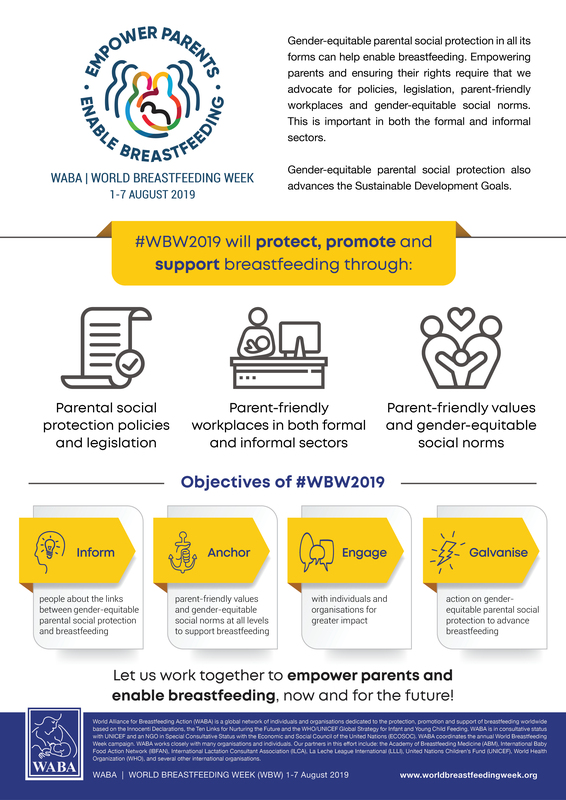 The #WBW2019 slogan “Empower Parents, Enable Breastfeeding” was chosen to be inclusive of all types of parents in today’s world. 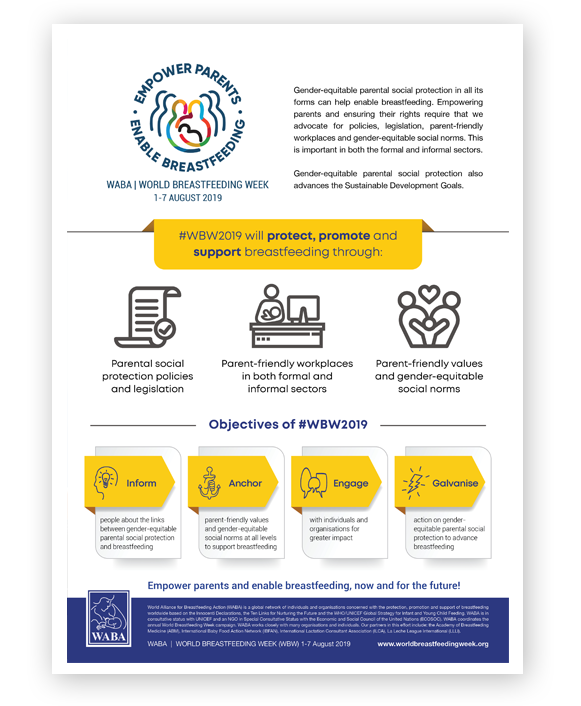 Focusing on supporting both parents to be empowered is vital in order to realise their breastfeeding goals. Empowerment is a process that requires evidence-based unbiased information and support to create the enabling environment where mothers can breastfeed optimally. Breastfeeding is in the mother’s domain and when fathers, partners, families, workplaces, and communities support her, breastfeeding improves. We can all support this process, as breastfeeding is a team effort. To enable breastfeeding we all need to protect, promote and support it.